What a way to start Easter break then a fabulous Easter win. A hamper from Lindt Lindor, in almost every Christmas, Birthday, etc, post you'll see at least one box of these chocolates, I'm such a fan. Lindt Lindor is just so deliciously mouthwatering and if you haven't already tried their chocolate I urge you too. I entered the #Momentofbliss app on Facebook where you show your moment of bliss mine being my Lindt Lindor brownies that you will have seen mentioned before on A British Sparkle. I didn't expect to win and certainly not all this chocolate. I've since shared some, but still have loads left but come Friday I'll be cooking up a storm with more brownies for family visiting this weekend. 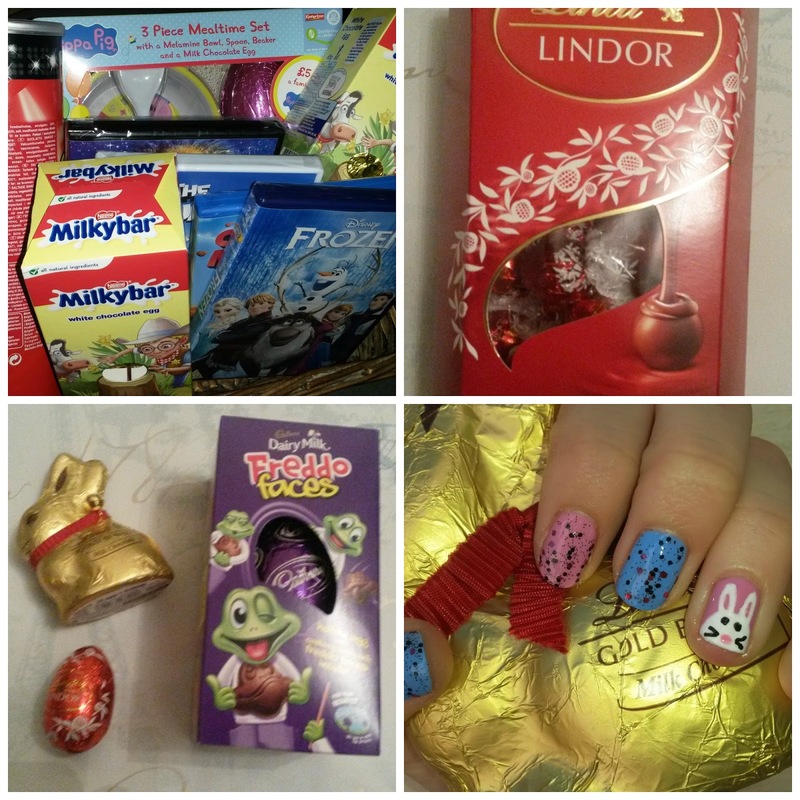 Come Easter and you get your chocolate stash for the year (we're still eating chocolate from Christmas, no kidding!) and I believe I may be getting more this weekend - I'll do a post regarding this weekend, we're going out if the weathers nice. I created a little hamper for my two monkey's and also had my twin nieces for the weekend so added their little eggs to it.They loved eating a little chocolate and watching films. They also got a huge goody bag from their Nana and Grandad with lots of treats in, chocolate, books, pj's, toys - completely overboard! I did a little Easter nail art to get into the spirit of things and they went down a storm with the children. Meet Hop the rabbit (if you've seen the film with Russel Brand you'll know exactly what I'm talking about, it was on at the weekend too). 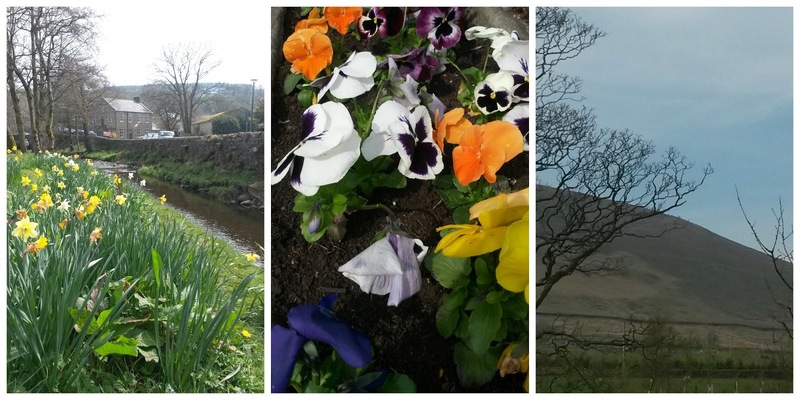 Come Easter Monday and feeling like a beach ball due to all the chocolate indulging, we took a drive and then a walk to a little village called Barley, Pendle. It's the famous place of witches and what not and home of Pendle Hill. We walked so close to Pendle Hill it didn't look that big, but it's huge. We didn't walk up it, not such a good idea with a two and four year old - maybe next time. I hope you had a great Easter. What a lovely selection of chocolates. Your bunny nail art looks really good! 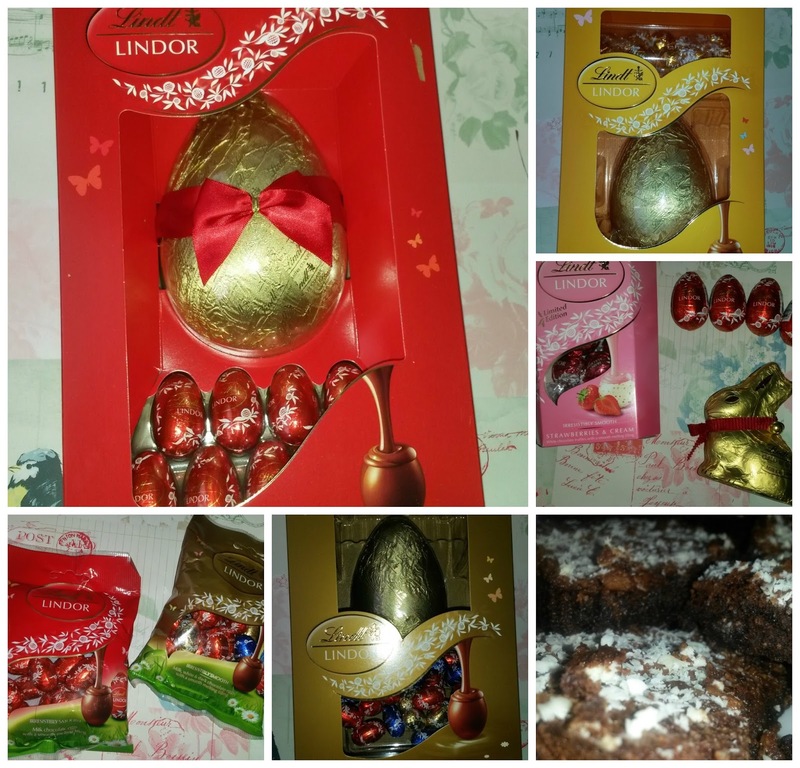 A fab win, I love Lindt products. Your nails look cute too, xoxo.